Anna's vibrant, detailed and uplifting watercolours have earned her worldwide recognition. In this, her second book, she goes beyond flowers to explore her inspirations from across the natural world, including fruit, birds and animals. The book gives you a very personal insight into Anna's way of working; with clarity and warmth she will help you find inspiration, choose scale and composition, see things correctly and work with discipline and flow until you produce fabulous work of your own. Packed with advice and inspiring finished pieces, this gorgeous book guides the reader through Anna's method of working with a variety of beautiful step-by-step projects and exercises. 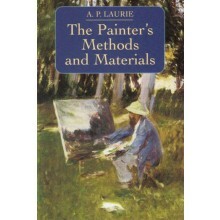 It is suitable for beginners or for more experienced artists looking to refine their style or try some new techniques. You can view Anna Mason’s first book ‘The Modern Flower Painter: Creating Vibrant Botanical Portraits in Watercolour’ here.